You have thought about making more money by reselling VoIP services, but you’re not exactly sure how you make money by doing so. Here’s what you need to know! Once you become a V1 VoIP reseller, you can immediately begin making money offering our VoIP services and solutions. We will give you a list of VoIP rates from either the United States or countries around the world. Then you can create your own rate list for your customers where you chose your own margins, determining how much you make from each VoIP service or customer. After that we remove the virtual amount from your customer’s account and the difference is for you! It’s that easy to make money reselling V1 VoIP services! Your rate for Brazil is $0.16 EUR. You decide to get 20% margin from your customer, so your customer rate for Brazil is $0.192 EUR. For a 5 min call, we will charge you $0.80 EUR and your customer is charged $0.96 EUR. So your profit for that call is $0.16 EUR. Simple! So what is the difference between becoming a V1 VoIP reseller and a V1 VoIP white label or private label reseller? * You are free to choose your own rates for your customers, so you can set the margins for each destination. * You can make different ratelists for different customers. * You can select a fixed margin (for ex. 10% on all destinations) or make custom lists. * You can choose the min amount per minute that you wish to earn. * You decide the billing increment for your customers. * Your customers can also be resellers and create their own customers accounts. You will earn your profit margin on these calls as well! * Logging on to the administration unit for your reselling system is seperated from the login page for your customers. 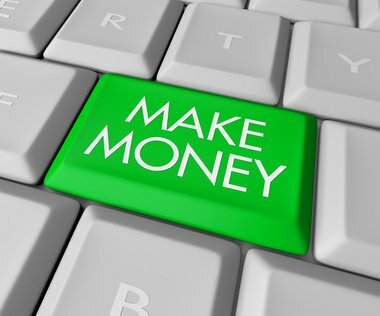 Don’t wait any longer to start earning money, start now! Contact our sales team to become a V1 VoIP reseller!